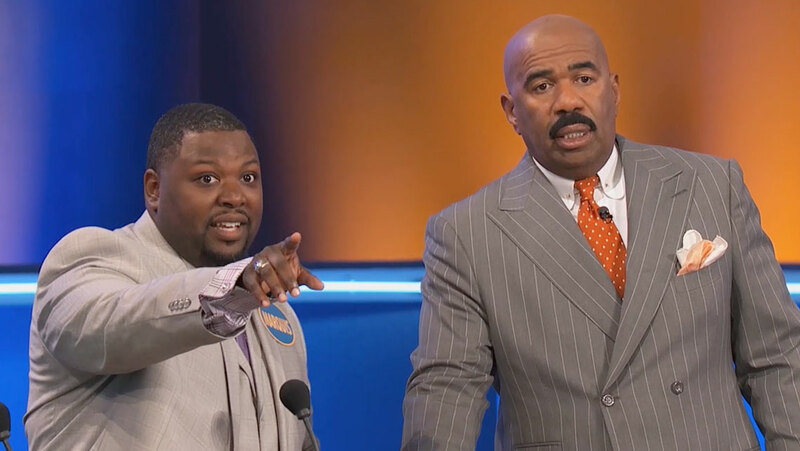 If you’re lucky enough to land a spot on Family Feud, good things can happen. You could win lots of money—up to $100,000, in fact. You might also go home with a brand new car. And apparently, you could end up getting engaged to the love of your life. 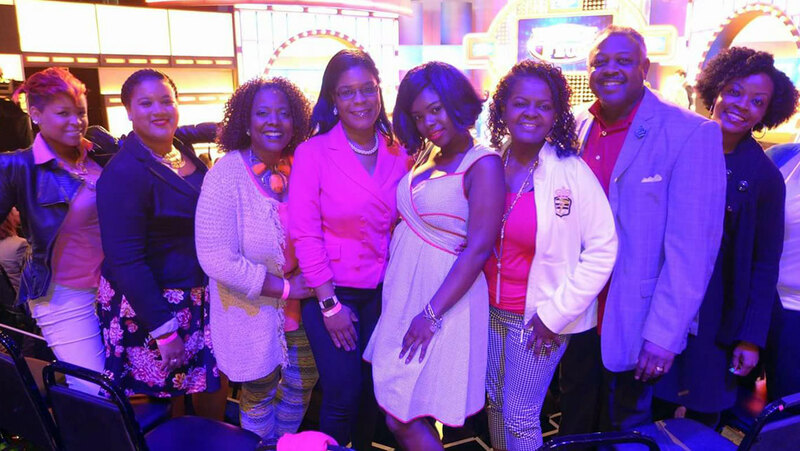 For Baltimore natives and longtime Family Feud superfans Marquis and Eddeja Page, that’s exactly what happened last year. 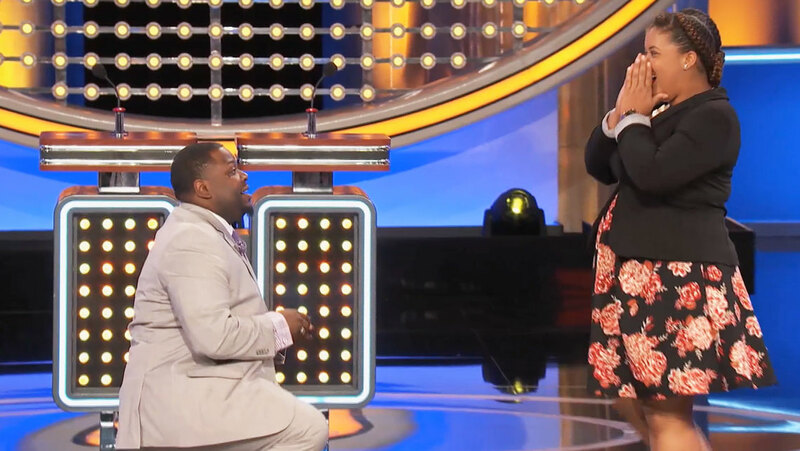 Host Steve Harvey was all too happy to help Marquis pop the question, as it was the first on-air proposal since he’s been hosting the show. Watching the clip, you can’t see any nerves—it’s all genuine sweetness. In fact, the moment was so heartwarming it landed in the number one slot on our top 10 moments of 2017! For Marquis, it was a long time coming. “Eddeja has been one of my best friends since 2007,” he says. 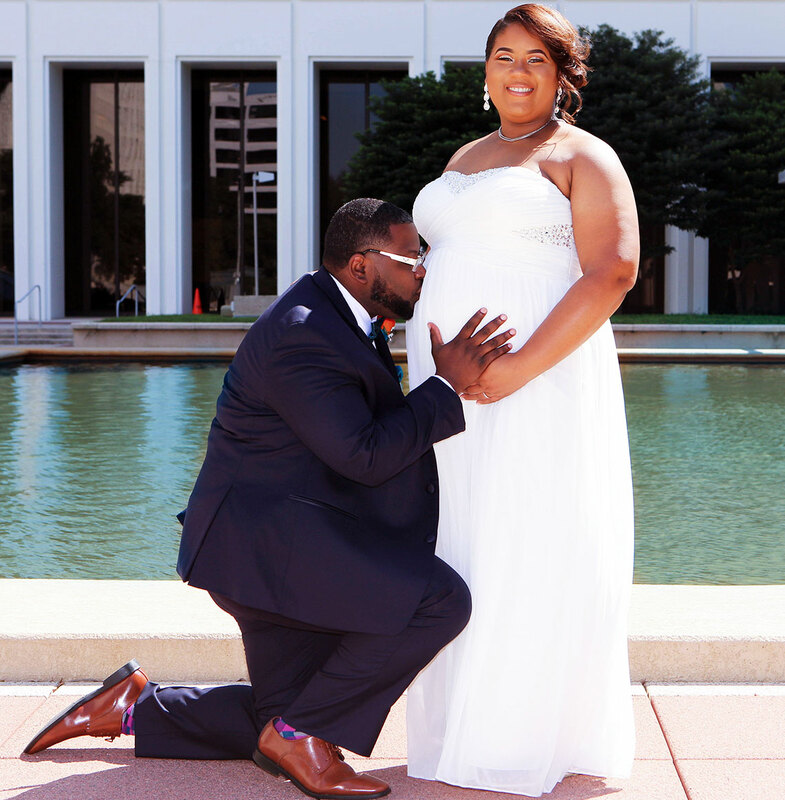 “We had each other’s backs through all these relationships until one day, in 2015, it dawned on us: why don’t we try this?” The happy couple hasn’t looked back since. 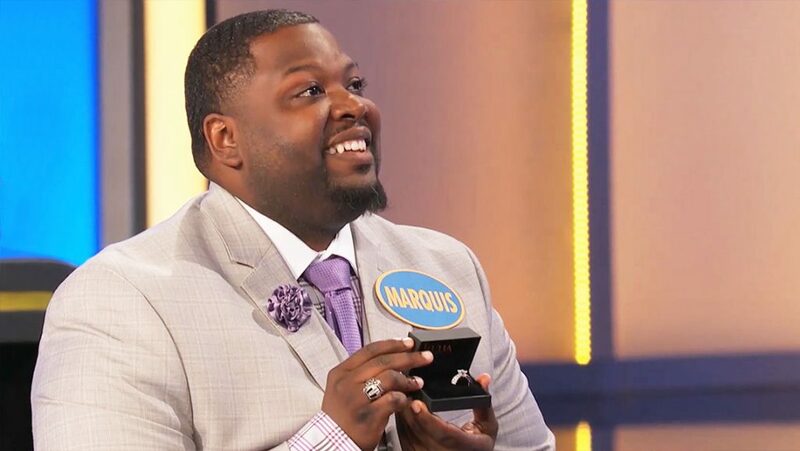 The Baltimore natives relocated to Houston in 2016, and when Marquis’ family, the Claxtons, nabbed a chance to compete on their all-time favorite game show the following year, Marquis thought there’d be no better time to propose. The thought hadn’t even crossed Marquis’ mind up to that point, but he loved the idea. After Bryce cleared the plan with the rest of the producers, Marquis decided to go for it. Marquis spotted an ad for the Baltimore tryouts, and the rest is history. 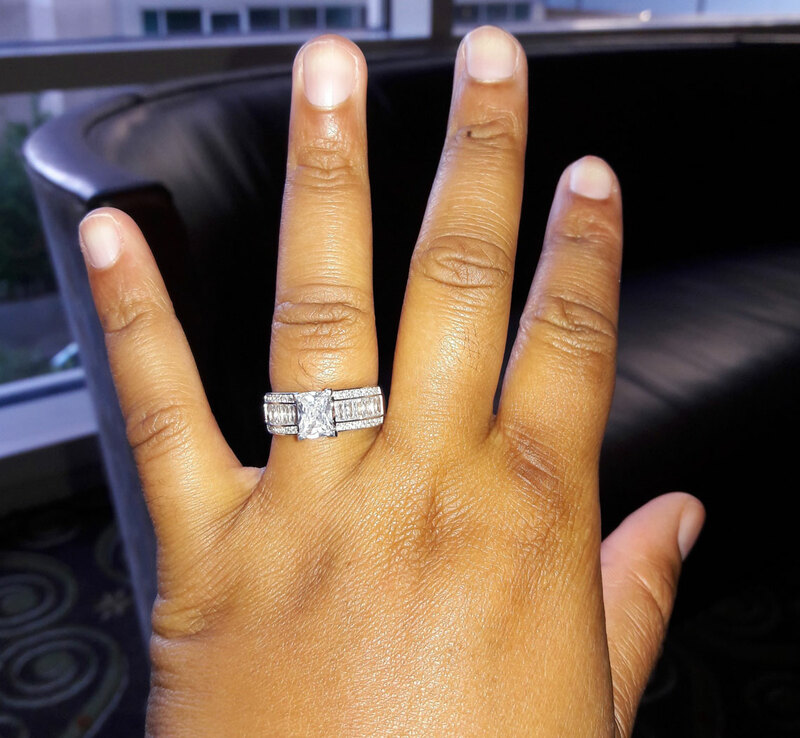 By the time the Claxtons were heading to Atlanta for their taping, his plan was set, he had the ring, and he was ready to go. But, because he wanted it to be a big surprise for the entire family, he didn’t share his plan with anyone except for two accomplices: his Uncle Sam and Aunt Tracy. Tracy was sharing a hotel with Eddeja, and Marquis tasked his aunt with making sure D was dressed the part even though she’d just be part of the audience. “I said, Tracy, whatever you do, don’t let her wear sweatpants!” he says, laughing. After day one of taping, the Claxtons got sent home before they had the chance to compete. Marquis was forced to hold in his secret for another day, which only made him more nervous. 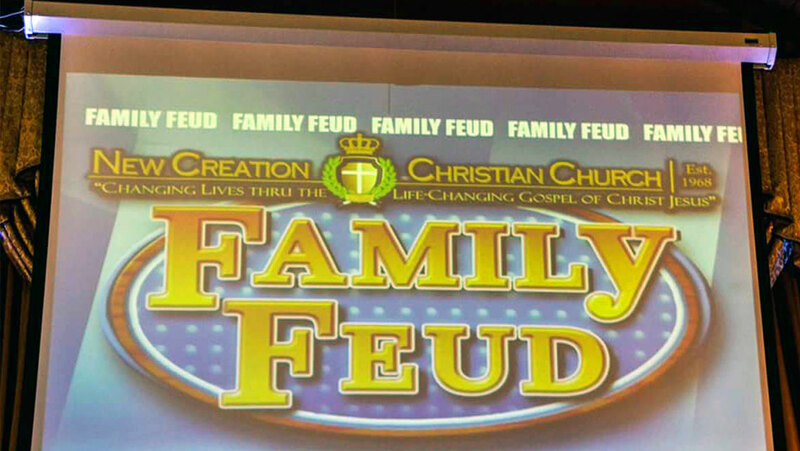 But on day two, following rehearsal, it was time to go on, and the Family Feud team was there to help it all go smoothly. 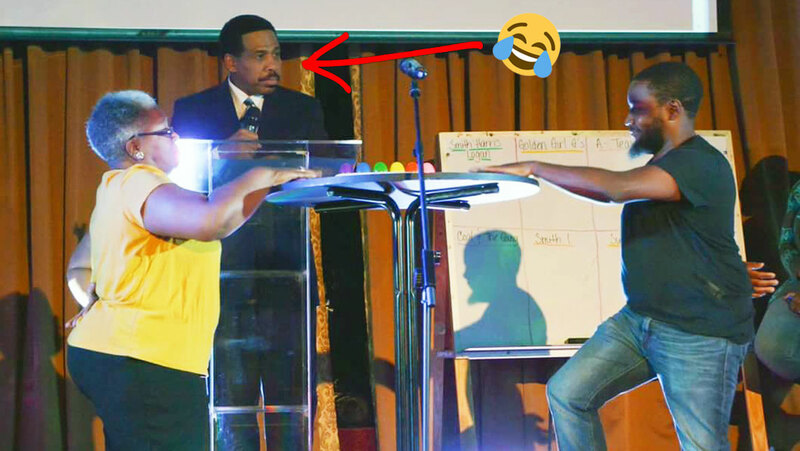 The best part, according to Marquis, was that aside from Sam and Tracy, none of the Claxton crew (including those on stage and those in the audience) knew what was happening. They’d all carefully read their contracts, which, for audience members, states that going up on stage is a no-no that would get you escorted out of the taping. When Steve told Eddeja to come on up, “everyone was looking around, grabbing their stuff, sure they were getting kicked out!” Instead, the Claxtons got a surprise they’d celebrate as a family for the next year to come. 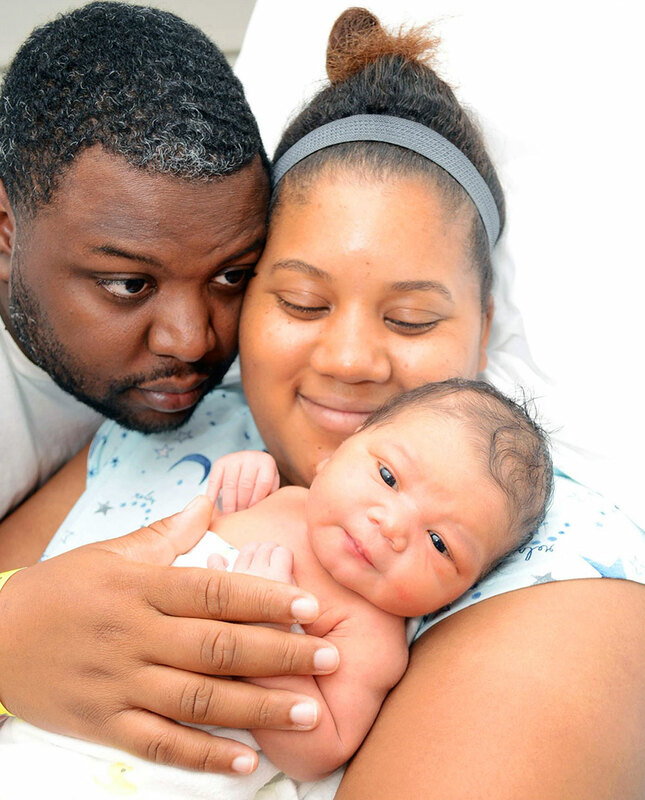 Marquis and Eddeja tied the knot in September, and on December 14, they welcomed their first child, Marquis Junior. Though the Claxtons didn’t take home the victory, they did get the experience of a lifetime and a proposal story for the books. 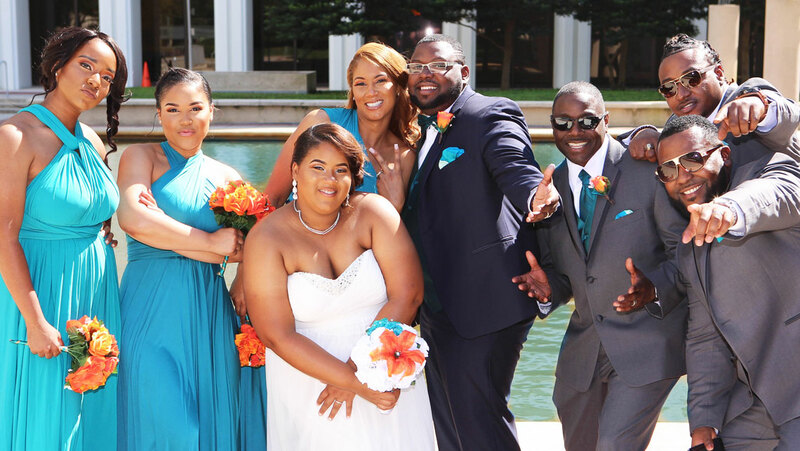 They also made lifelong friends with two of the other families they met during taping, the Bulbuks (who even came to the wedding!) and the Johnsons. 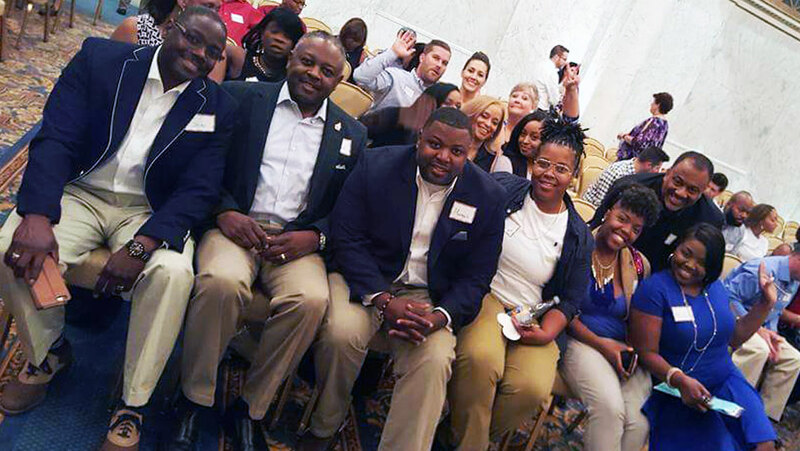 Next spring, all three families will meet again for a reunion in Baltimore, which Marquis and Eddeja planned. 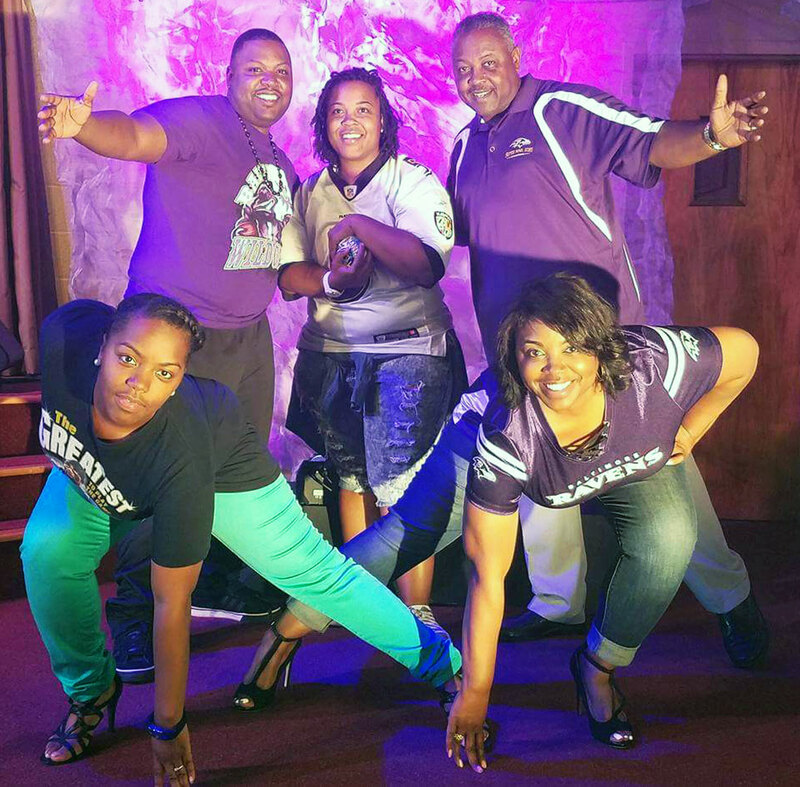 Reflecting on the experience, Marquis puts it best: “It’s called Family Feud, and it’s all about family—that’s what’s most important.” He does have one final request: a shot at redemption for the Claxtons. Yep: they want to come back, and they’re ready to win. “If we get another shot, we’ll be good. We got all the jitters out the first time!” Casting team, if you’re reading, how about a round two for the happy couple?! 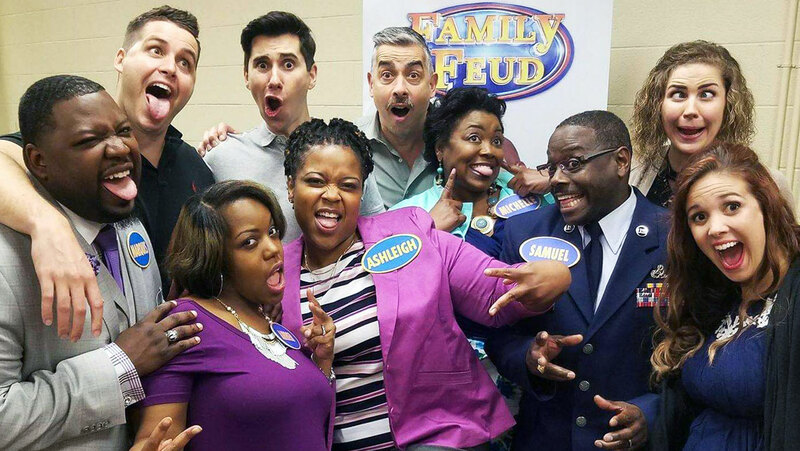 If you liked this story, you’ll love the one about the woman who dropped BIG news on her husband while filming their Family Feud audition video.